There are many things that orcs hate; poncey elves, miserable dwarves, and greedy little Halflings. But the thing orcs hate the most is other orcs, which means their only option is beat them up and show them who’s boss. In Tinku you take on the role of an orc tribe as you prove dominance over those other filthy greenskins. Tinku is a straightforward deck building game. Each round you’ll lay out your hand of orc and goblin folk and compare their strength to that of your opponents. To mix things up a bit each type of goblinoid has a different effect that can boost your strength or affect your hand or an opponent’s; the Orc Lord works best with large groups, the gnolls bring in reinforcements, goblin archers can kill opponent’s cards and the witch doctor can bring cards back from the dead. The winner of each round gets a victory point bonus and then, starting with the player who came second, each player selects a card from the current roster to add to their deck. 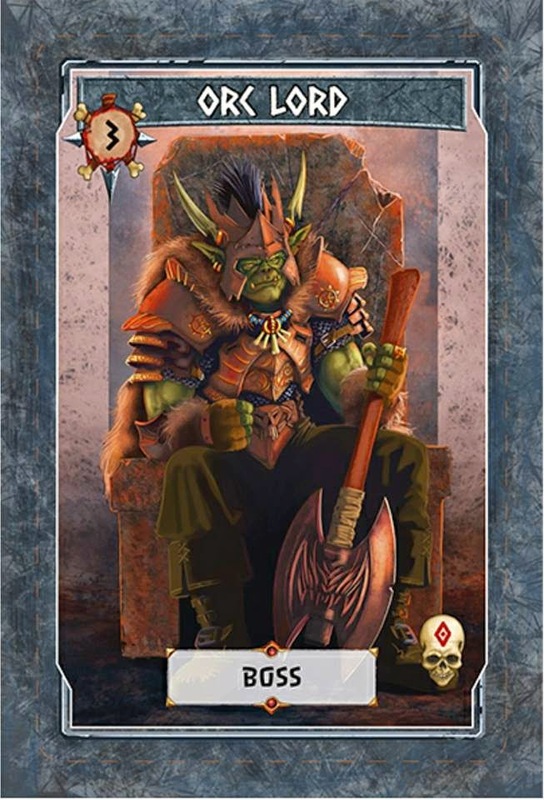 Some of the cards on offer, such as goblin archers and the troll, can kill other cards removing them from the game. Over 12 rounds you’ll bolster your war band and at the end of the game count up your points on both the cards you’ve still got in your deck and the cards for winning rounds. Tinku is a very simple game, you’re not juggling a combination of card types, each turn you are merely play the cards in your hand and the important decision is the order in which you play them and who to target with some of the effects. Even then the playing order isn’t that much of a big deal. This makes Tinku extremely easy to play and you only have to get your head around a small number of abilities. 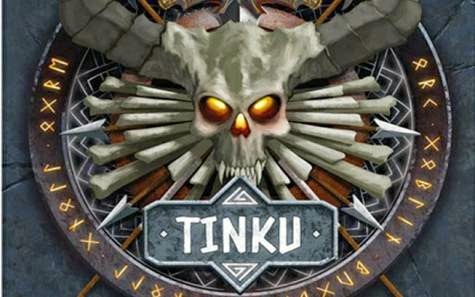 The most difficult aspect of playing Tinku is adding up your score at the end of each round. With that simplicity also comes a lack of tactical depth, with very little in the way of choices you’re not left with many options to guide your fate. The real decision making in the game is choosing which cards to add to your deck at the end of each round. This choosing of cards has some strategic merit to it; many of the cards can play off of existing cards which means picking a strategy early on and sticking to it has its benefits. You could try and make a deck full of gnolls to pull more cards from your deck, aim to collect goblin archers to make devastating volleys against your opponents, or just go for the heavy hitters. The problem here is that some of these strategies are susceptible to those annoying goblin archers. Goblins and gnolls both present rather interesting strategies but are both rather squishy and are often the first to fall to a hail of arrows. Whereas the troll, who rampantly gorges himself on your weaker goblin folk, will brush off those attacks and just carry on. The good thing about Tinku’s design is that for every form of powered up Orc there is a counter. 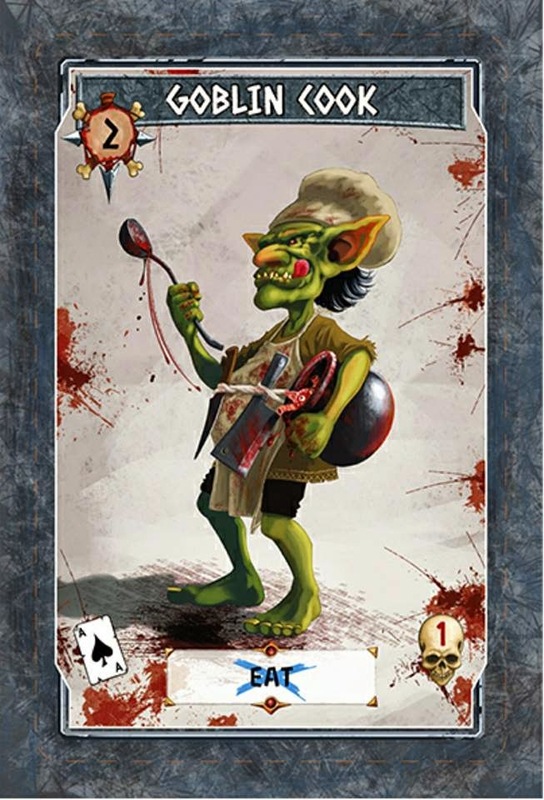 For the troll there is a goblin chef, who cooks up tasty morsels to keep the ravenous troll at bay, a deck full of goblin archers is going to have a weak witch doctor and the Ogre Mercenary, the most powerful card in the game, will leave your deck for an opponent’s if you lose a round. The bad thing is that it can take a while for these cards to be available to add to your, and even then you’ll need the other players not to grab them before you. There is also no mechanism in Tinku for removing cards from your deck, a staple of many deckbuilding games to make your deck work leaner and more efficiently. Tinku works in reverse in that only an attack from your opponent can thin out your deck. This has a really weird effect whereby a strategy that relies on weaker cards can be destroyed easier. Tinku’s various card effects make the game interesting, with the goblin archer being the standout ability in the deck that brings something fresh to this game. It’s where most of the fun in this game lies, crippling a group bonus by taking out a single card is gratifying, and getting a lucky shot into an opponent’s deck to discard their most powerful card will have you hollering with victory. It’s a shame that these archers aren’t used more (some orcs with heavy crossbows would be a great addition). This archer mechanic is Tinku’s biggest strength; however its second strength is also its biggest weakness because Tinku is a simple game, a game that’s ridiculously easy to learn and play, but this simplicity comes at a cost that the game is also light on tactical decisions. Tinku has a tendency to play itself, and it can be that your choice of which card to purchase is the only decision to make each round. 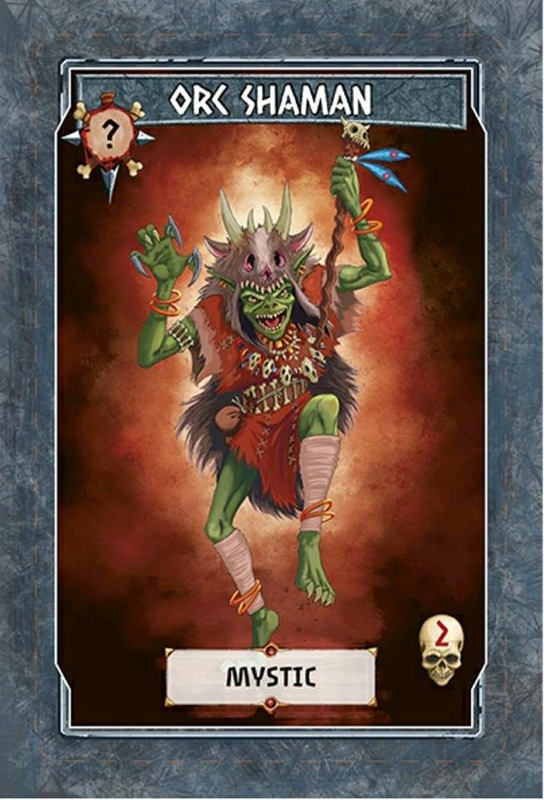 If you’re after a game with plenty of tactical depth you’re going to be left wanting but if you want a light fantasy themed card game that is more reliant on luck than mental prowess then Tinku is worth a look and it’s always fun watching a troll eat all your opponents’ goblins. Tinku is on kickstarter now. The game looks great and I like the "orc tribe" theme. Too bad there isn't more tactical or strategic depth to it. I like a good, simple game but not too simple. I'll have to check out the KS page myself. Excellent write-up!